After being spotted on Samsung Latvia’s buyback portal, Nokia 9 has now been leaked in a live image revealing its massive battery detail as well. The smartphone, whenever it launches, is now expected to sport a penta-lens camera setup, and the new leak seems to corroborate that claim. The Nokia 9 is also reported to launch sometime this month, and the delay in launch is being blamed on production issues. The smartphone was also spotted on the Chinese certification site, and a new separate render based on leaks has also surfaced online. NokiaPoweruser has leaked a live image of the Nokia 9 showing the back of the device. It is seen sporting the penta-lens camera setup similar to previous leaks, and the image gives out information on the integrated battery as well. According to the image, the Nokia 9 is expected to pack a 4,150mAh battery that is non-removable. The leaked device is sporting a Blue back, hinting at one of the possible colour options at launch as well. A separate post on Baidu says that the TA-1094 variant, tipped to be the Nokia 9, has already passed through the Chinese MIIT certification site. The report states that the variant passed certification in May itself, however launch seems to have been delayed for reasons related to the camera. The post claims that the Nokia 9 has entered the production phase since August itself, but HMD Global is doubling down on strict quality measures, and it won’t launch the device until a considerable lot is produced without issues. 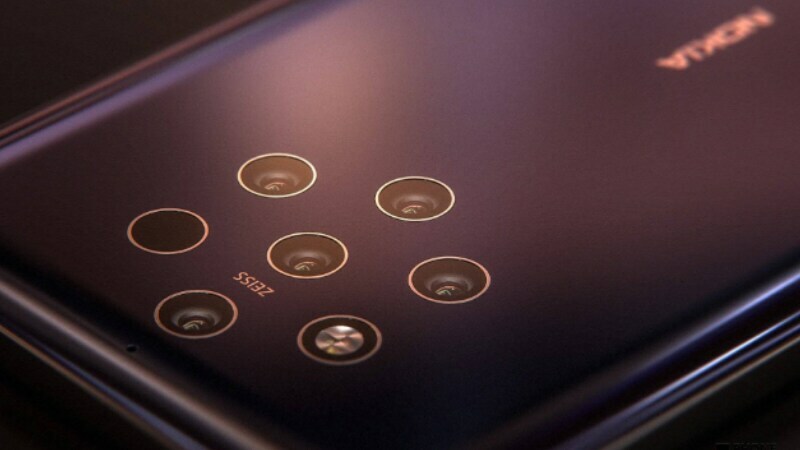 NokiaPowerUser cites its own sources to claim that the Nokia 9 may be launched this month itself, and states that the penta-lens camera is the reason for slow-scale production. Previous leaks suggest that the Nokia 9 is expected to run Android Pie, as part of the Android One programme. The smartphone is also rumoured to sport an in-display fingerprint sensor, making it the first Nokia-branded handset to achieve the feat. It is rumoured to sport a 6.01-inch display, and be powered by a Qualcomm Snapdragon 845 SoC, with up to 8GB of RAM and up to 256GB of inbuilt storage. Apart from that, the smartphone was previously rumoured to sport a triple rear camera setup with a 41-megapixel, a 20-megapixel, and a 9.7-megapixel sensor, coupled with 4X optical zoom and Xenon and LED flash modules.